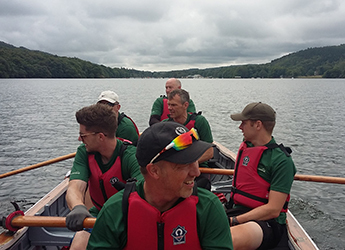 Last year, when the weather was slightly warmer, a team from across the business got together to take part in an epic row runner challenge with a host of other local businesses. The event, was organised by Temple Heelis to raise money for the Brathay Trust, a fantastic charity based in South Cumbria and was in aid of Matt Campbell, the local chef who sadly passed away after he took part in the London Marathon earlier this year. The aim was to raise vital funds for Brathay, who work with hundreds of children, young people and families from across our region every year to help inspire them to engage positively within their local communities.